Another E3 has come and gone, and along with it, the press conferences that everyone looks forward to. While almost every press conference had a game reveal or two, some just were flat out better than the others. With that said, we’re pitting each press conference against one another in our latest episode of Versus! Why? Because we can, that’s why. For this E3 press conference face-off, we put EA, Ubisoft, Microsoft, Bethesda and Sony against one another and award a winner! 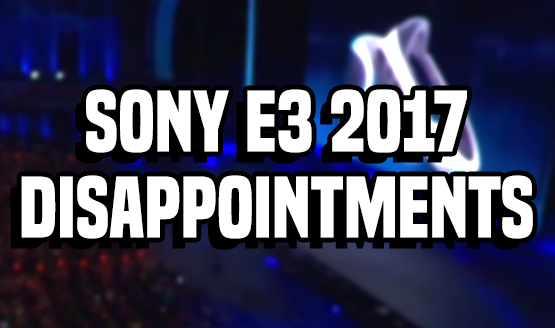 Does this mean the winner had the best E3 2017 press conference? Maybe, maybe not. Maybe it just sucked the least out of the lot? Whatever the case is, there is a clear-cut winner, and I think, most of our readers will agree. While E3 2017 might be over, we have previews, features and more still rolling out! So make sure to keep an eye out for those, or bookmark this page for all our E3 2017 coverage in one place. Which E3 2017 press conference was the best? Share your winner and why in the comments. Want to see more Versus episodes? Then be sure to subscribe to our YouTube channel for more video content you can only find here, and of course, the latest game trailers. Versus is PlayStation LifeStyle’s recurring video series where we pit a game, franchise, basically anything game-related against another and pick a winner.